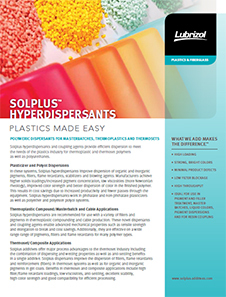 Solplus™ D542 by Lubrizol is a 50% active polymer in MPA and methoxy propanol (1:1 ratio). Acts as a dispersing agent. Improves powder dispersions and stability. Enables higher filler loadings/flame retardant loadings. Offers improvements in productivity due to increased filler levels and shorter dispersion times. Imparts excellent storage stability and decreased viscosities. 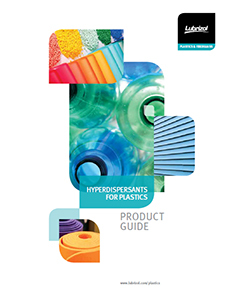 Used in dispersion of fillers in elevated temperature cured polyester resins (SMC/BMC). Typical dosage of Solplus™ D542 is 2-3% depending on the weight of fillers. It has a shelf life of 2 years.